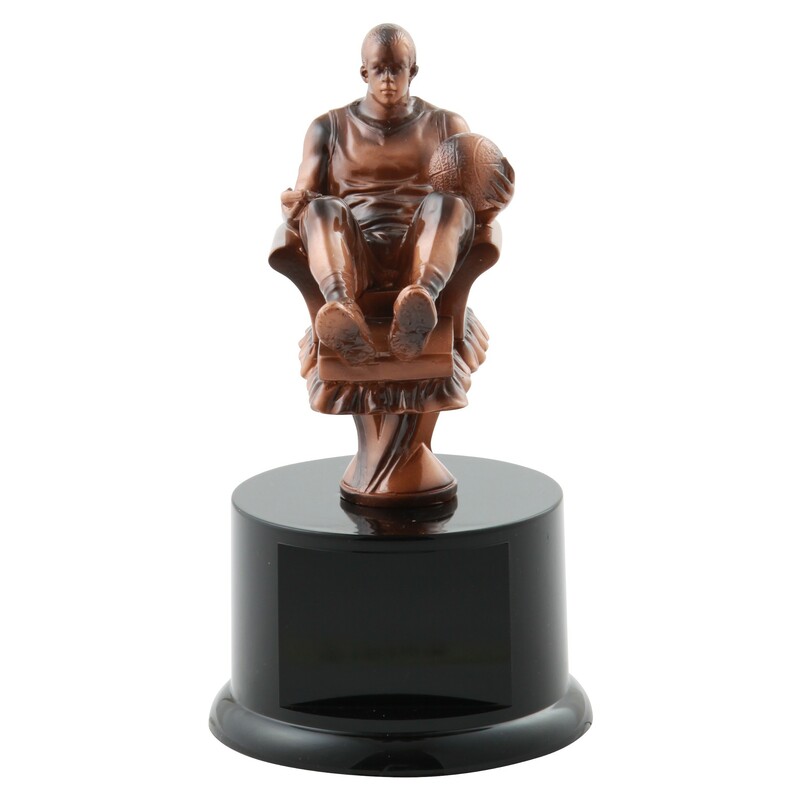 These Lounging Armchair Basketball Trophies have an excited yet relaxed basketball player in all the gear holding a remote! Give this popular award to your fantasy winner. Approximately 8" tall with 4 lines of engraving!